Other Common Names: Indian pennywort, pennywort, Asiatic pennywort, antanan, pegaga, brahmi, chi-hsueh ts’ao, man t’ien hsing. Habitat: Gotu kola is native to Australia, Pacific Islands, Asia, South Africa, South America and other tropical climates. This perennial is found in shady, marshy areas. 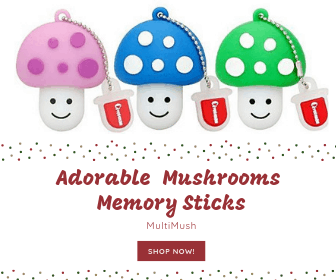 It can grow in shallow water or in moist soil. 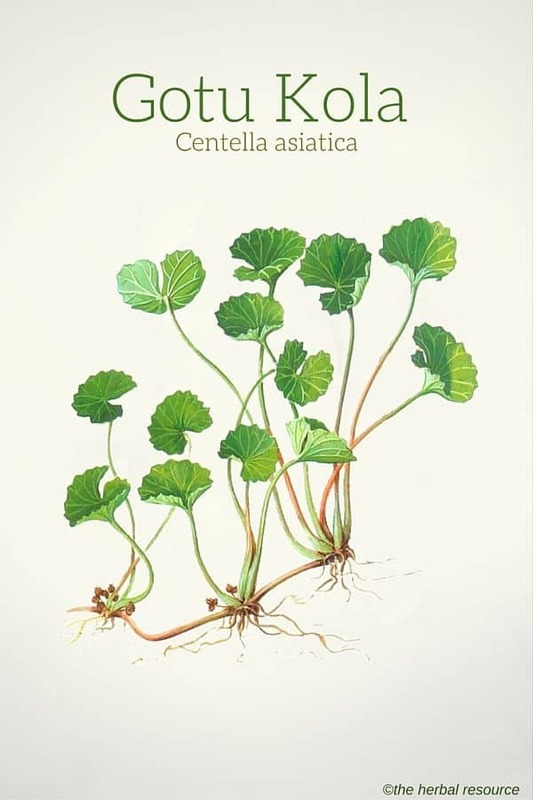 Description: In shallow water, gotu kola uses floating roots and the leaves rest on top of the water. On dry land, numerous small roots give rise to reddish stolons with small, thin leaves. The leaves may reach 1 inch thick by 6 inches long. Three to six reddish flowers may arise in a sessile manner. The fruit of this perennial is about 2 inches long with 7 to 9 ribs and a hardened pericarp. Plant Parts Used: The entire plant is harvested at maturity and used for medicinal purposes. Gotu kola is known as a longevity herb and often used as a general health tonic. Historically, the herb has been used to treat many disorders; including syphilis, hepatitis, epilepsy, stomach ulcers, nervous conditions, diarrhea, and fever. This herb can be used externally for wounds, burns and skin lesions. Gotu kola has been shown to support the blood vessels and help lower blood pressure with regular use. This helps reduce the frequency and severity of chronic venous insufficiency and the development of varicose veins. There is support to show that this plant may help with nervous conditions, especially anxiety and insomnia. Sufferers of scleroderma may find relief from the use of this herb. Anklylosing spondylitis (arthritis of the spine) and rheumatoid arthritis may also respond well to this herb. This herb helps rejuvenate the brain and nervous system and helps improve brain health. This herb has shown anti-aging properties and it has been used as an herbal remedy for ADHD (ADD). Gotu kola is usually found in the form of herbal teas, tablets, capsules, tinctures, and salves. The tea is typically consumed three times a day. The oils, creams, or even tea, can be applied to the skin as needed throughout the day. Due to the varying potency and strengths of different products, it is important to follow the manufacturer’s suggested dosage. 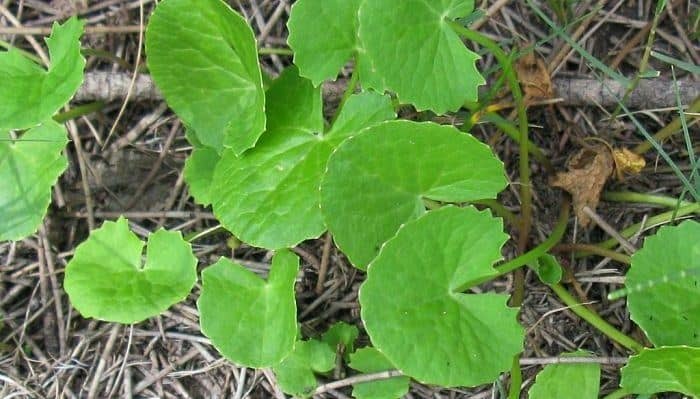 Gotu kola has been shown, in some cases, to raise cholesterol and blood sugar levels, so should be avoided by those with high cholesterol and diabetes. This herb may also lead to miscarriage if used during pregnancy. The effect of the use on infants and young children is unknown so those women who are breastfeeding should not use it. Gotu kola use may lead to sensitivity to sunlight or artificial tanning lights. Upset stomach and nausea may occur with oral use and contact dermatitis may result from topical use. It may interact with medications that cause drowsiness and result in an increased sedation. Anticonvulsants, barbiturates, benzodiazepines, drugs for insomnia, and tricyclic antidepressants are all drugs that cause drowsiness and may cause an interaction when taken with this herb. It may also lessen the effectiveness of insulin and other oral diabetic medications, as well as cholesterol-lowering medications. 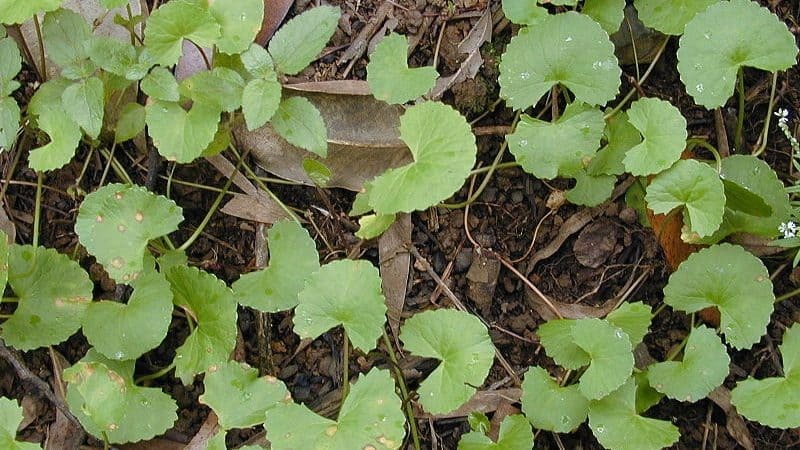 Gotu kola may also have an increased sedative effect when taken with over-the-counter cold and cough medicines, or when drinking alcohol.